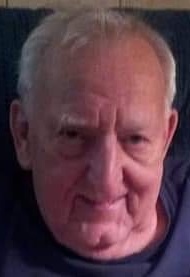 Age 87, late of Hegewisch, passed away Monday, April 8, 2019. Beloved husband of Felicia Pancer (nee Szromba) for 67 years. Loving father of Peggy (John) Karas, Holly (Will) Wilson, the late George (Maureen) Pancer, Gerry Pancer, Lucy (Richard) Baczkowicz and Luke Pancer. Proud grandfather of the late Neil Karas, Jessica (Bryan) Crooks, Russell (Belinda) Karas, Jake Wilson, Amanda Pancer, Joshua Pancer, Jeffrey (Shannon) Pancer, Luke (Roxanne) Boersma, Maggie (Paul) Neswick, Jonathan (Malory) Cap and Lauren Cap. Devoted great grandfather of twenty-one. Caring uncle of many nieces and nephews. Preceded in death by his parents, three brothers and two sisters. Gene proudly and honorably served his country in the U.S. Army. He was an avid baseball and Blackhawks fan. Gene retired from U.S. Steel after 43 years. The days may come and go, but the times we shared will always remain. Dad, you are loved and cherished, dearly forever.